Tinder "hacker" marketers are popping up everywhere. Now, a Toronto woman said she matched 2,000 men in 24 hours on the hot dating app, all by following a social media playbook pioneered by a single man in Phoenix. Both their results were interesting from a branding and content marketing perspective. Tinder, a growing platform worth billions of dollars, says it makes 10 million matches a day. Brands have been testing how they might insert themselves into the mobile dating culture there. 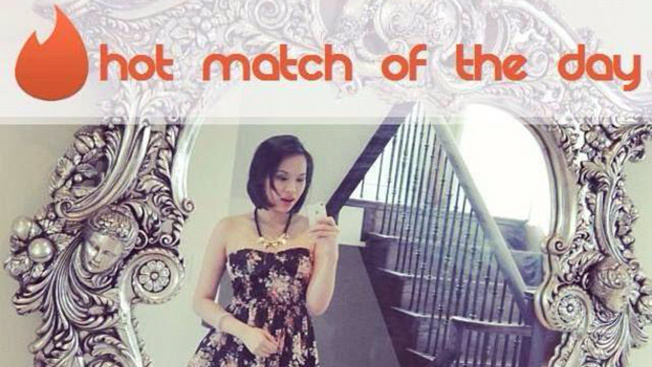 Pham, a digital marketing strategist, discovered one obvious dating truth: Women on Tinder match a lot of guys. More surprising, though, she also found that most matches never even talk to each other. Pham said she was inspired by Jamieson to “hack” Tinder for the most possible matches in the shortest possible time, and she tried to boost traction on her blog by linking to it from her Tinder page. She also thinks her dating deception could make her the “most hated girl” in Toronto, a role she seems to relish in a Medium blog post she wrote Thursday. Like Jamieson, she also approved every profile she saw—Tinder users swipe their touchscreens right if they like a person’s photos and left if they don’t. People who both swipe right are notified that they match, and they get to text each other. Liking everyone obviously increases the odds someone will like you back. She had a near 100 percent match rate, which means every guy who saw her profile signaled they would date her. That's more than 2,000 people. She estimated that only up to 30 percent actually messaged her. Jamieson found that only about 18 percent of women messaged first. That means most who people-match never even talk. Three percent of her matches read her blog. Every day, up to 50 men with whom she initially matched dumped her profile. She said they block her when she never follows a match with a text message—she sees her match count decreasing. A lot of matches asked if she was simply fishing for blog hits and warned that Tinder users are sensitive to spam. There are a few types of spam accounts that make the rounds.